Welcome to the Military Discharge Records Information page of the Macomb County Clerk / Register of Deeds website. Below you will find information on how to file Military Discharge Papers and how to obtain a certified copy of a Macomb County Military Discharge Record. CLICK HERE for Military Discharge Frequently Asked Questions. Starting Thursday, November 10, 2011 at 8 a.m., the veteran must appear in person to be photographed and bring the items listed at right to the Macomb County Clerk / Register of Deeds. Veterans may use this ID Card to obtain discounts at many merchants in the area. Merchants participate on the voluntary basis and may not necessarily provide discounts. For a non-official listing CLICK HERE. Visit the Macomb County Clerk's Office. cash, check, VISA, Mastercard, Discover and American Express. It is the responsibility of the service person to file copies of the original military discharge documents with the County Clerk's Office in the county they reside. If you need to obtain your military discharge documents, DD-214, for filing with the County Clerk’s office, write to: National Personnel Records Center, Military Records Branch, 9700 Page Boulevard, St. Louis, MO 63132 or visit their website www.archives.gov/veterans/. File copies of the original documents at the Macomb County Clerk's Offices. If the military discharge records have been filed with the County Clerk’s office you may request a copy in person, by mail, online or via fax (with a credit card). Macomb County military discharge records are not available for viewing, but may be obtained by the discharged military person or beneficiaries only. Heirs must provide proof of death and evidence of relationship. Records will be on file only in the military personnel’s county of residence if the service person previously arranged for the filing (see Filing Military Discharge Papers, above). If unsure of where a discharge was filed, write to National Personnel Records Center, Military Records Branch, 9700 Page Boulevard, St. Louis, MO 63132 or visit their website www.archives.gov/veterans/. To request a certified copy of your own military discharge, picture identification (driver's license) must be provided. Visit the Macomb County Clerk's Offices. Write a letter stating the required information, and enclose a check or money order. Mail to Macomb County Clerk, Attn: Military Discharges, 120 North Main, Mount Clemens, MI 48043.  CLICK HERE to verify whether a Macomb County vital record has actually been issued by the Macomb County Clerk, reducing the risk of fraud and preventing identity theft. Picture identification (driver's license) must be provided.